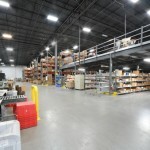 Micknich Electric, an electrical contracting company based out of Horseheads New York, handles residential and commercial construction projects. 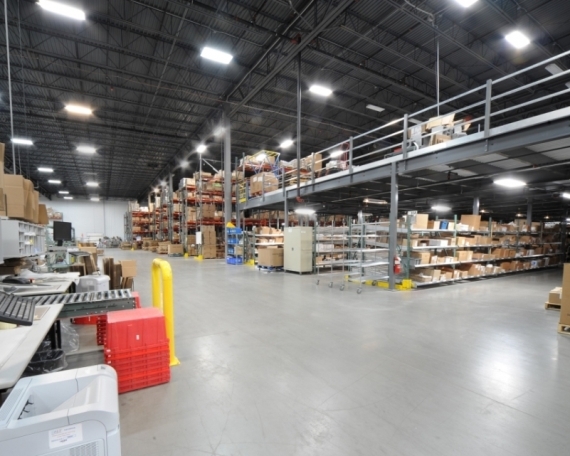 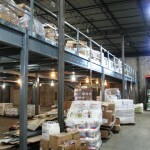 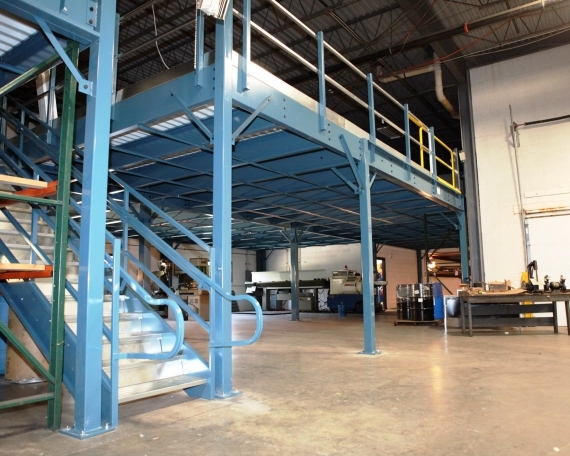 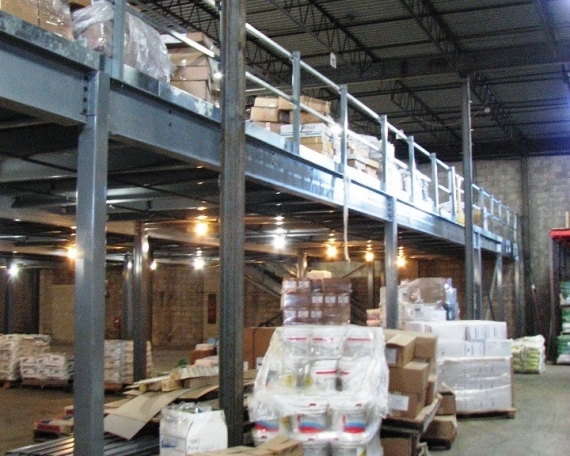 They contacted The Mezzanine Company to assist them in providing a warehouse solution for a customer of theirs in Elmira, New York. Their customer needed a climate-controlled environment for specialized manufacturing processes while not reducing the overall storage space available at the facility. 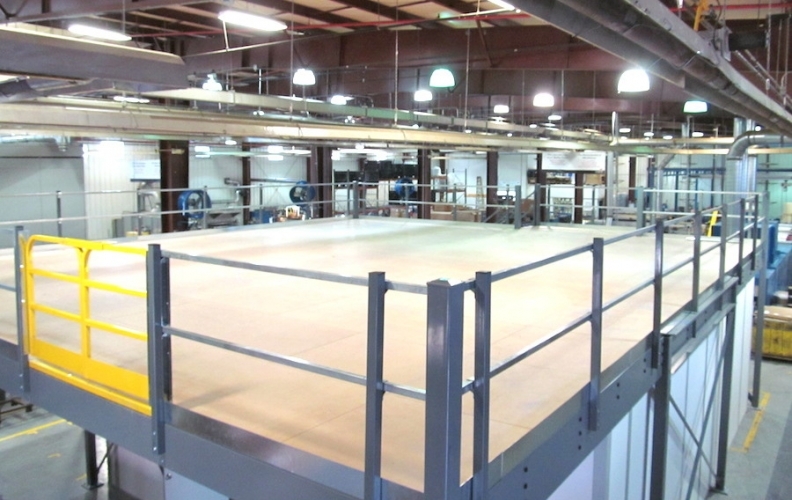 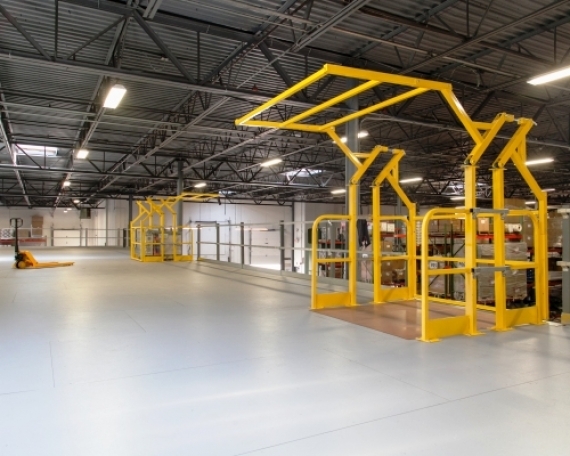 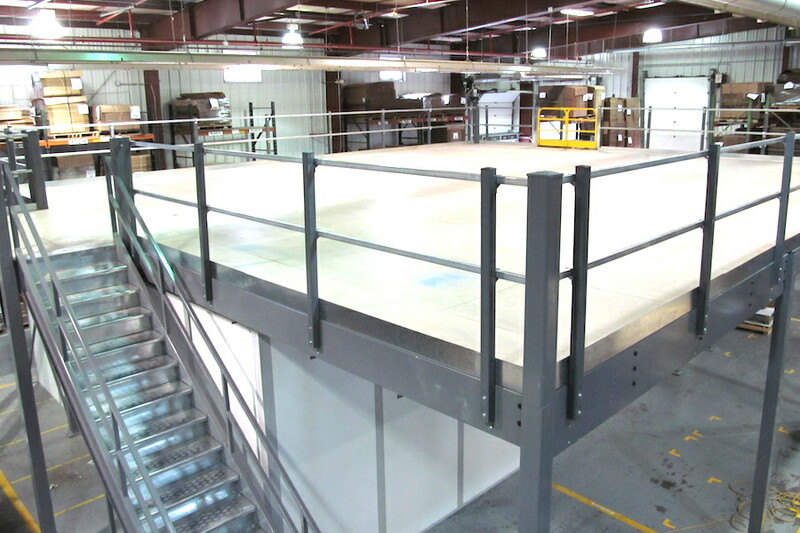 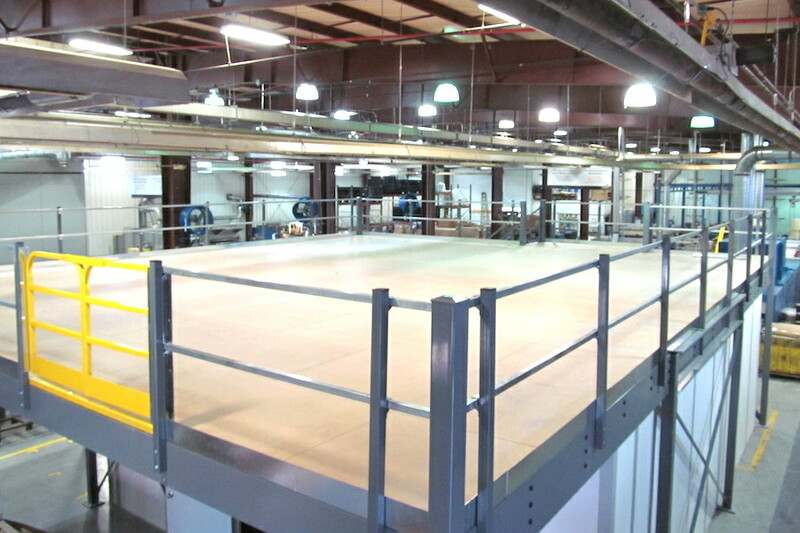 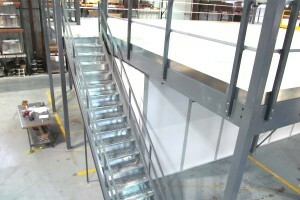 To provide the room they needed in their warehouse for their manufacturing process without losing store space, we provided a modular office combined with a mezzanine on top. The modular office was 26’ x 32’ (or approximately 832 sqft) and was designed with a standard door and a special 8’ x 8’ framed opening for a roll down door. 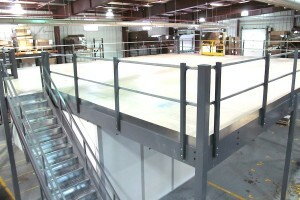 The mezzanine was designed to be 36’ x 42’ (or approximately 1,512 sqft). 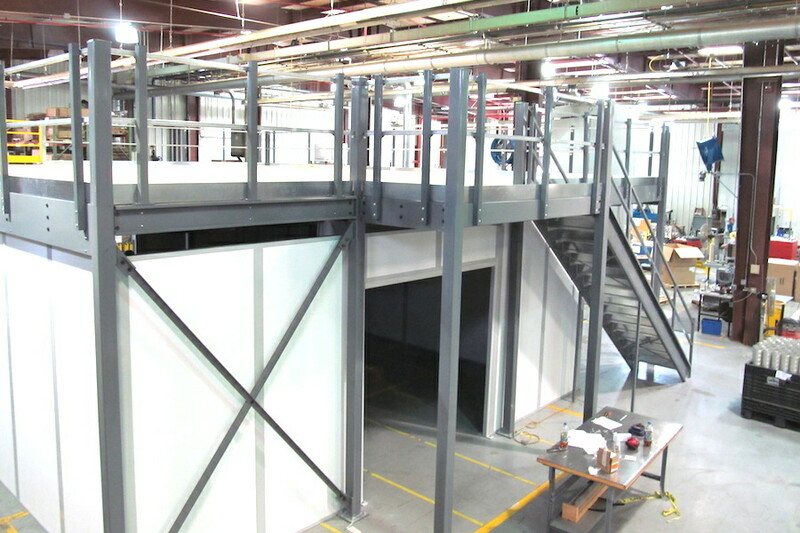 We integrated the designs of both the modular office and the mezzanine to ensure that all components lined up and worked together. For example, we provided an 8’ x 4’ oversized top landing for our mezzanine stairs that lined up precisely with the 8’ x 8’ opening underneath for the roll up door (as seen in photo). 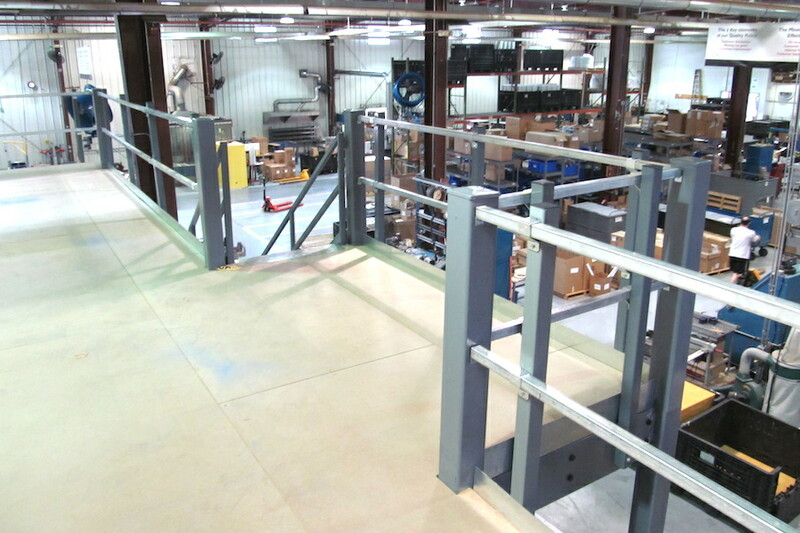 In addition to the straight OSHA staircase, we also utilized a 6’ wide double swing gate for moving larger materials to and from the structure. 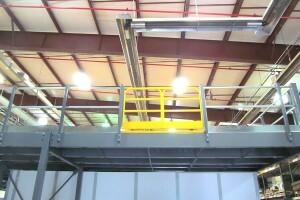 Micknich Eletric decided to do the installation themselves; so we worked closely with them during the installation process. 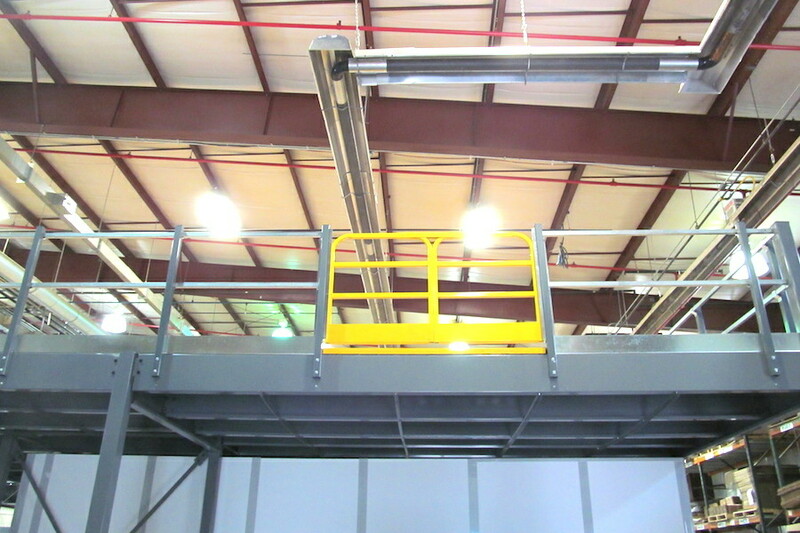 With our assistance, they were quickly able to overcome any difficulties that arose, resulting in a speedy successful completion of the project.